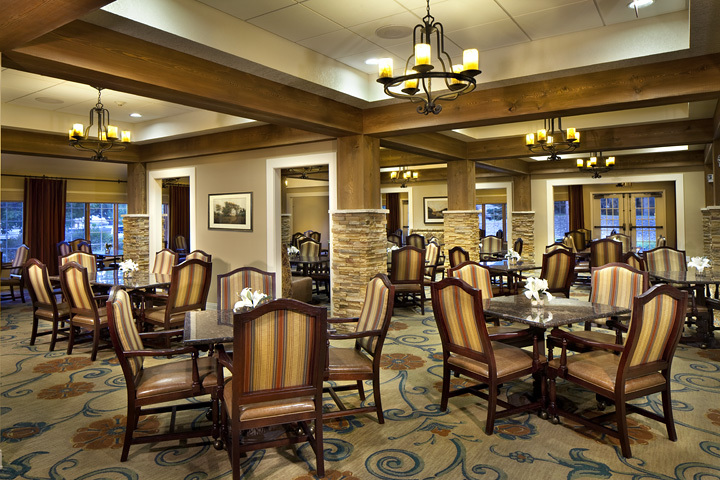 "I have worked with many interior design firms over my twenty five-years in the Senior Living field and studio 1∙2∙1 stands out among them. Seasoned organizations will immediately recognize the experience and depth they bring to the table. Newer teams can rest assured that studio 1∙2∙1 will deliver on time and within budget. Most importantly, you and your clients will be impressed with their unique vision and the overall end result." "Through multiple phases and several years working to transform Franciscan Village, we have valued studio 1∙2∙1’s commitment to our community. Knowing we could leave things in their hands made it a reassuring process, and we developed a great relationship. I have been continually impressed with their attention to every detail. Their ability to carry an aesthetic across multiple levels of care and provide interactive amenities has produced a beautiful community where our residents can engage and enjoy an active lifestyle." "Studio 1.2.1 is unique in that you truly live the ideals of integrity, honesty, awesome customer service, and living your business life by the Golden Rule (or actually by the Platinum Rule - treating others the way that THEY want to be treated.) Each customer is different, and studio 1.2.1 takes the time to listen and learn what each is about and what they want to achieve, then make their dreams come true in ways that even they never imagined -- and you do all this as a trusted partner and friend." "Our vision was to expand our ability to effectively care for a growing population within our community, and we more than accomplished that. The design team creatively addressed the design challenges and thought beyond obvious solutions. Throughout the memory care expansion project, they listened to our needs as caregivers. Most importantly, they engaged the residents throughout the process, resulting in an environment that is truly theirs." "Studio 1∙2∙1 took the time to understand our needs. Their experienced team worked with us to overcome the challenges of phased funding, renovating an occupied space and compressed project schedules. Through partnering with studio 1∙2∙1, we were able to creatively stretch our conservative budget and truly maximize the overall impact. The result is a warm craftsman interior with life-enriching spaces that we can all be proud of." "Studio 1∙2∙1 is a trusted partner for Saint Thomas Health. The work that they have done for Saint Thomas and Baptist Hospitals is both stylish and economical." "I know when I have [studio 1∙2∙1] on the job, I can count on a project that is well coordinated, that the final product will look great, and most importantly, I can count on them to be very budget conscious." –Sue Schmidt, Senior Principal - Well-Being Design, Healthways, Inc.
"Studio 1∙2∙1 came highly recommended from another company in town, and after working with them, I can see why! They make a point to get to know their client and understand their culture. We had the idea to incorporate Nashville themes into our office space, and studio 1∙2∙1 took over from there to develop the concept design and furniture/décor selections. They hit the nail on the head! Their designs and service exceeded our expectations, and now the team at Vaco has a beautiful and fun space to work each day." "Newcastle Limited is a real estate investor and developer that owns more than 50 properties in the Chicago metropolitan area. Studio 1∙2∙1 has been an indispensable partner in our efforts to transform our residential properties. They’ve created fun and functional contemporary designs that have updated our common spaces and helped us appeal to a younger demographic." "Studio 1∙2∙1 gained our trust by consistently asking the right questions, collaborating with us to push and be pushed to think outside our comfort zones, and the result is an award-winning environment that residents and families love and where staff want to work. The experience was the beginning of an enduring relationship." "We were thrilled with the space plan that studio 1∙2∙1drafted for our remodel. The studio 1∙2∙1 team is unique and fun to work with! And they are fanatical about expertly crafted spaces that improve living and retail experiences."